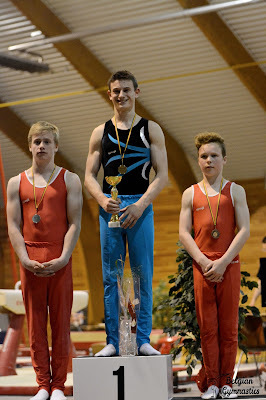 In Libramont, the competition was really tight in the Seniors division, with Daan Kenis being crowned National Champion. 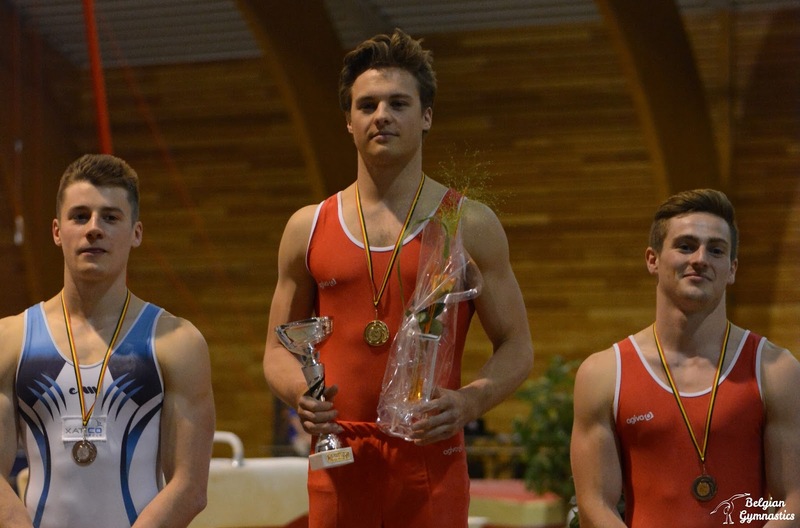 Things were differents in the Juniors ranked, with Justin Pesesse easily winning the all-around gold and being closer to an EYOF selection. After placing 16th at the last European Championships, Daan Kenis was once again the best Belgian in competition, winning the all-around competition with a total score of 81.300, despite a fall on high bar and a 0.4 penalty on floor exercise, where he stepped out of bounds twice. He got his best score on parallel bars with 14.200. 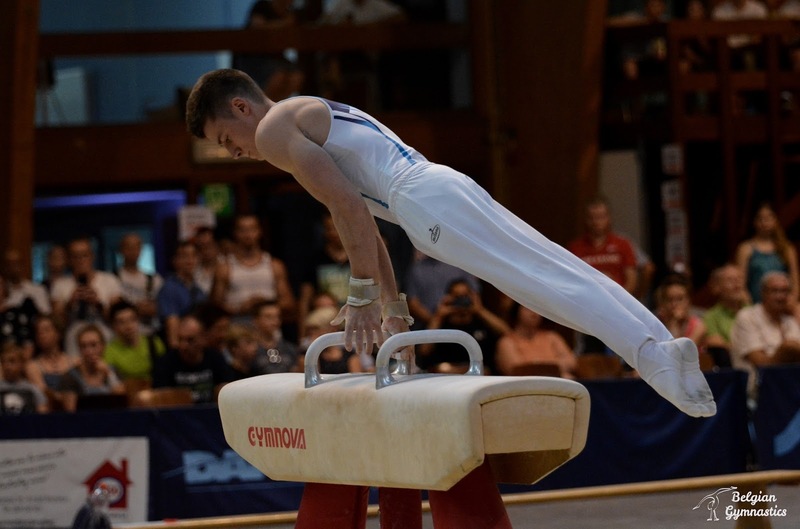 In second place, just 0.3 behind Kenis, was Maxime Gentges, who struggled on parallel bars but had a clean competition otherwise, earning his best score on pommel horse with 13.800. 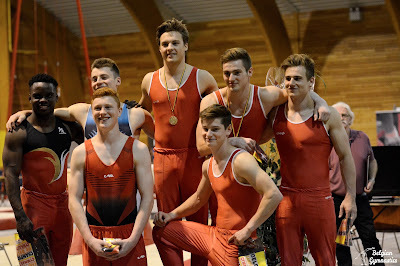 4th at last year's Belgian Championships, Gentges is now back on track, after placing 19th in Cluj last month. In 3rd place was last year's champion, Jimmy Verbaeys. 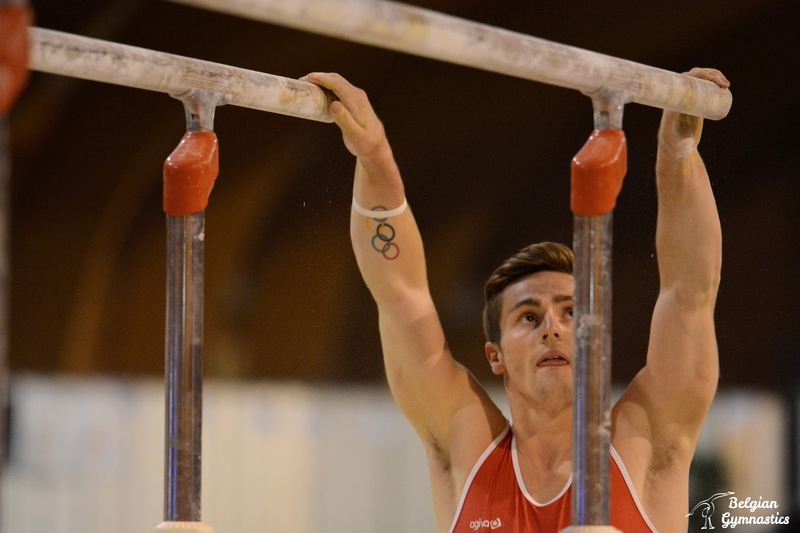 Jimmy struggled on floor and vault, where he had to count penalties, but also on parallel bars. He earned 13.800 on pommel horse, his best score of the day, and finished on high bar on a good note, with 13.750. He scored a total score of 79.850. Other highlights of the competition include Noah Kuavita's packed floor routine. The first year Senior placed 5th all-around in Libramont. Luka Van den Keybus also showed great things to take the 4th place. On the Juniors' side, this competition served as a test for the upcoming EYOF. 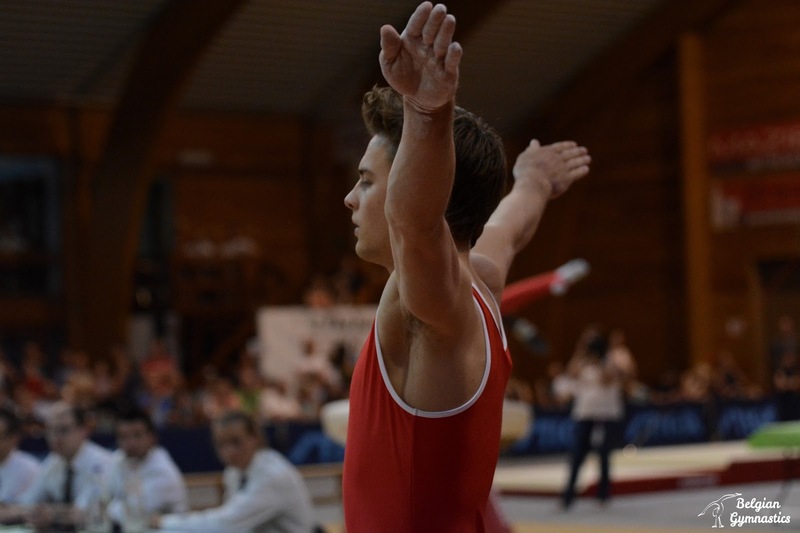 Justin Pesesse easily won the all-around title, scoring 77.400, ahead of Ward Claeys (73.600) and Bram De Ridder (73.450). Justin had his highest score on vault, with 13.700.